Monaco - Qatari high jumper Mutaz Essa Barshim and Belgium's heptathlon champion Nafissatou Thiam were named the IAAF's men's and women's athlete of the year on Friday. World champion Barshim succeeds retired Jamaican sprint legend Usain Bolt. 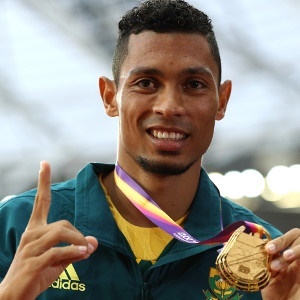 He claimed the title from a shortlist comprising Britain's long distance star Mo Farah and South Africa's 400m champion Wayde van Niekerk. Thiam, who won heptathlon gold at the Olympics and worlds in London, beat off competition from Ethiopia's 10 000m Olympic champion Almaz Ayana and Greek polevault star Ekaterini Stefanidi. Van Niekerk immediately took to Twitter to congratulate Barshim.